Campaign For The Protection of Pembrokeshire: Development plans for Front Street Pembroke Dock? 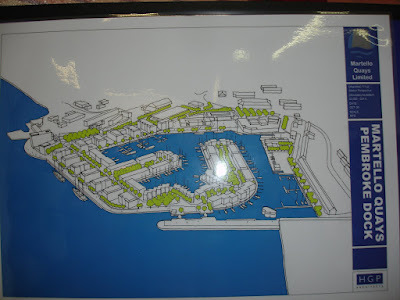 Development plans for Front Street Pembroke Dock? At the opening of the exhibition to promote this development the developer said " I saw an opportunity to make a great deal of money"
At present the CPRW constitution requires 8 members of CPRW's National Executive Committee (NEC)to be present to form a quorum for its meetings. That is 50% of the number of seats (16) on the NEC, as prescribed in the constitution. The proposed amendment is for 50% (i.e. the same proportion) of filled seats to form a quorum, rounding up if the number of actual members of the NEC is an odd number. So if there are, say, only 11 seats filled out of the 16 it would require 6 members to be present for a meeting of the NEC to be quorate. 6 is rather more than half of 8 and if the vacant seats were filled, the number required for a quorum would again be 8, the same as it is now. I think it would be better if you encouraged members to participate actively by putting themselves forward for election to fill the vacant seats on the NEC. It is the Council that elects members to the NEC, but it can only do so if people come forward.